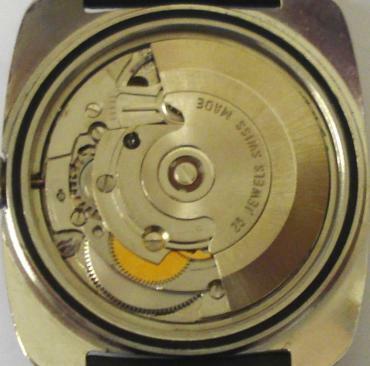 Stock Number: WWOM047 - Carronade Automatic Wind Wrist Watch - £250. 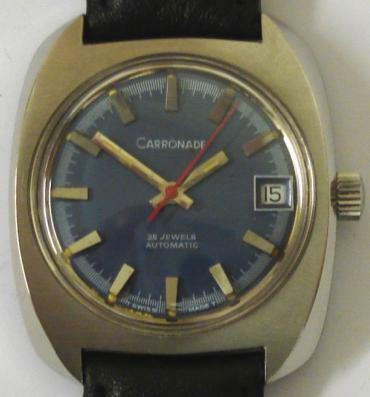 Swiss Carronade automatic wrist watch in a stainless steel case on a black leather strap with silver buckle. 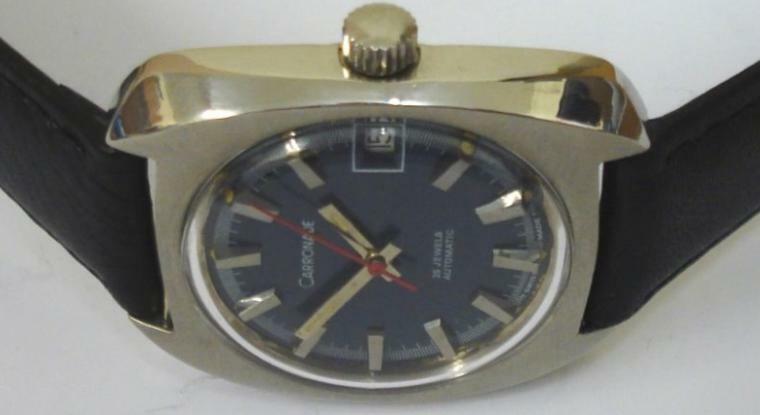 Dark blue dial with silvered baton hour markers with matching luminous insert hands with red sweep seconds and date display at 3 o/c. 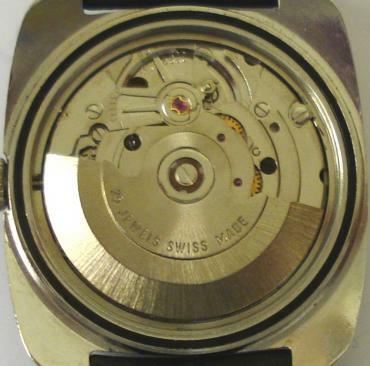 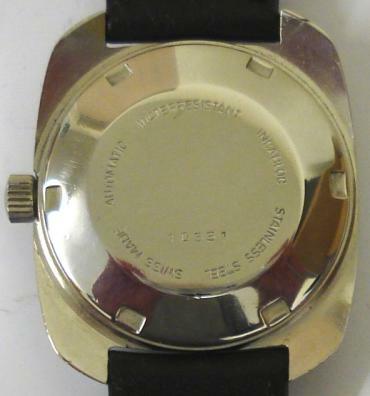 Swiss made ETA 2783 25 jewel incabloc movement with screw down case back, numbered #10531.